As we enter India’s 70th year of being a Republic, all those fond childhood memories of Republic Day celebrations come flooding back. I remember how eagerly me and my brother looked forward to the day, first getting dressed up in school uniform and taking part in the march-past at school and then upon coming back home, how our entire family would sit together to watch the Republic Day parade live on TV, followed by a slew of patriotic movies. The latter part - watching patriotic movies - continues to be a norm in most families even today and why not? The way Cinema can transport audiences back in time and acquaint them with India's rich cultural heritage and freedom struggle, no other medium can. I have always believed that Cinema, given its wider reach, can instil a sense of nationalism in the hearts and minds of the youth in a profound way. From Sohrab Modi ('Jhansi Ki Rani' in 1953) to Abhishek Sharma ('Parmanu: The Story of Pokhran' in 2018), several Indian filmmakers, time and again, have given us so many good movies based on patriotic themes that showcased our glorious history on the big screen and made us feel proud as Indians. Indeed a well-made movie can be quite impactful in kindling and infusing love and pride for our nation in more ways than one. 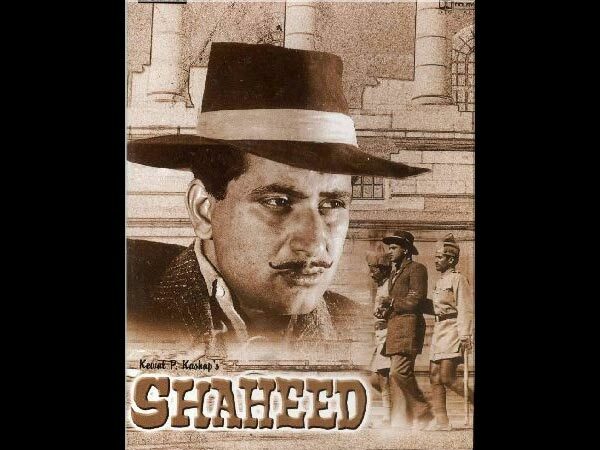 Taking us back to the pre-Independence era, the S. Ram Sharma directed Shaheed (1965) was one of the first movies to retell the story of the three young revolutionaries Bhagat Singh, Shivaram Rajguru and Sukhdev Thapar who were determined to drive the British out of India. The martyrdom of these three young revolutionaries had breathed new life into the Indian Independence movement and inspired the entire nation. While Bhagat Singh's life has been depicted in several movies, I believe this movie is the best of the lot for its crisp storyline, superb direction and Manoj Kumar’s brilliant portrayal of Bhagat Singh. No wonder, this movie earned immense critical applause besides winning several awards including the President’s Silver Medal (as the National award was known back then) for being the 'Best Feature Film in Hindi', Nargis Dutt Award for being the 'Best Feature Film on National Integration' and the Best Story award at the 13th National Awards. In fact, it's said that Bhagat Singh's mother was so moved by Manoj Kumar's performance that she blessed him personally. This masterpiece on Bhagat Singh’s life also has some truly unforgettable songs like 'Sarfaroshi ki tamanna', 'O mera rang de basanti chola', 'Pagadi sambhaal jattaa' but the best of them all, in my opinion was 'Aye watan aye watan, humko teri kasam...'. Every time I hear this song, it stirs up strong patriotic sentiments inside me. Based on the lives of Indian army officers, Ab Tumhare Hawale Watan Saathiyo boasts of an absorbing storyline and equally compelling performances from its impressive cast that includes Amitabh Bachchan, Bobby Deol, Akshay Kumar, Divya Khosla, Danny Denzongpa and Ashutosh Rana among others. But as per me, Akshay Kumar was the standout performer, he literally got into the skin of his character and delivered a powerful performance. There are several moments in the movie when one truly gets goosebumps like when Akshay Kumar enters the enemy camp and blows them up, knowing fully well that he could be captured or even lose his life. I wonder if soldiers are made from different stuff! Movies based on soldiers have always fascinated me for I hold them in high regard. It is because of their countless sacrifices that we are living our lives freely! It would not have been easy living away from their families under life-threatening conditions but the soldiers do, selflessly, to shield our country from external threats. Khoon jinka watan ke kaam aata hai..."
There are several such lines in the movie that rouse patriotic fervour. I certainly felt a strong emotional pull towards my nation. Well, filmmaker Anil Sharma, who has given such hit movies like Gadar: Ek Prem Katha (2001), The Hero: Love Story of a Spy (2003), is known to present stories that evoke strong feelings of patriotism in one's heart. Ab Tumhare Hawale Watan Saathiyo too celebrates the spirit of nationalism and in a way, forces us to introspect whether we are following our responsibilities towards our nation or not. 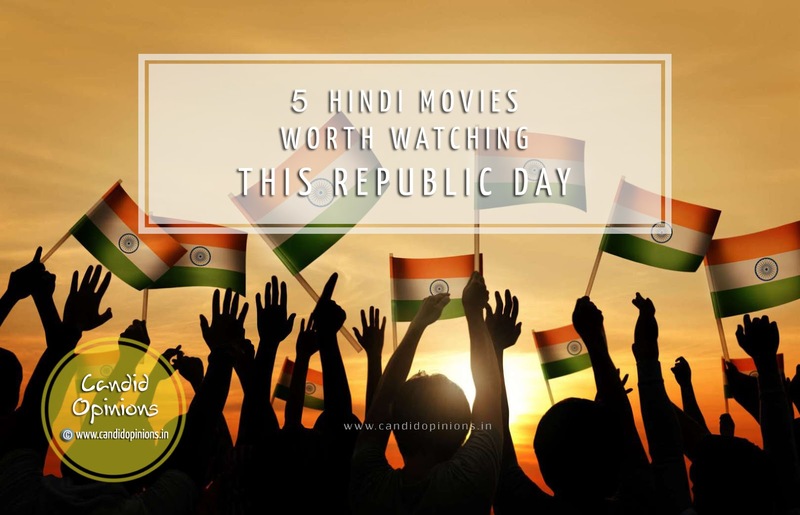 One may also find a subtle but an important message in the movie that needs to be commended - it encourages the youth to think of a career in the Armed Forces. 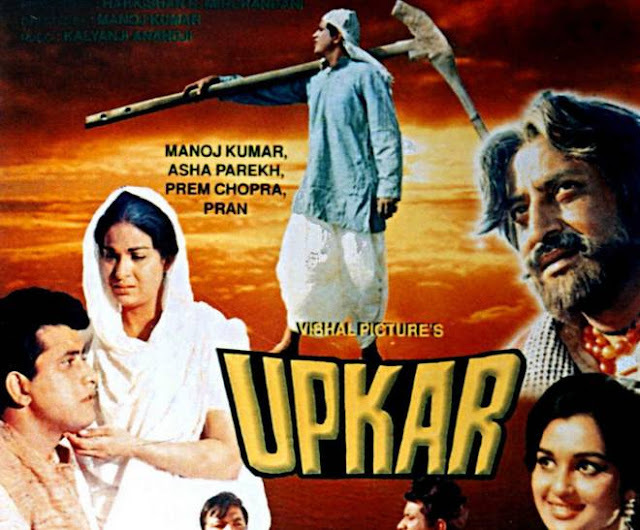 Produced and directed by Manoj Kumar, 'Upkar' is definitely one of the best movies of all times to have come from the Indian film history. Although 52 years have passed since its release, the movie's theme is still relevant even today and strikes a chord with the viewers. It's said that in 1965, India faced a double whammy as on one hand, while Pakistan had attacked our frontiers, at the same time, there was an acute shortage of foodgrains in the country. It's in such a scenario that the then prime minister of India, Lal Bahadur Shastri, had given the slogan of “Jai Jawaan Jai Kisaan” (Hail the soldier! Hail the farmer!). The movie 'Upkar' is based on this slogan - the title referring to the indebtedness that we owe to our motherland and therefore the onus is on us to promptly repay the obligation if ever the need arises. Superb storyline, faultless acting by Manoj Kumar, ably supported by Pran, Asha Parekh and Prem Chopra coupled with great dialogues, resonating lyrics and Kalyanji Anandji's music make this movie a must watch. And of course, who can forget the evergreen song, "Mere desh ki dharti sona ugle, ugle heere moti" (sung by Mahendra Kapoor). In 'Parmanu: The Story of Pokhran', John Abraham and director Abhishek Sharma bring to life a historic moment that made every Indian proud as our nation officially became a Nuclear power. 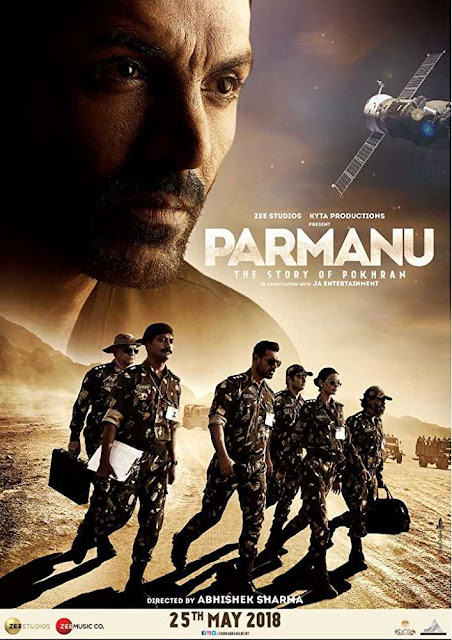 Based on the nuclear tests conducted by the Indian Army at Pokhran in 1998, the movie presents the facts in an entertaining and engrossing manner, depicting the challenges that were faced in making the mission successful amid severe diplomatic pressure from the world, especially the United States of America. But the successful tests conducted by India made the world sit up and take notice, thereby changing their perspective towards our nation. Our hearts swell with pride at the thought. A noble retelling of a historic moment that remembers the unsung heroes of 1998, coupled with a tight script having plenty of thrills and drama to go with earnest acting performances by the cast especially by John Abraham, Boman Irani and Diana Penty - they all make this movie worth watching. The icing on the cake is the climax that keeps one totally hooked. Purab Aur Pachhim (1970) is another classic by Manoj Kumar that sparks the feeling of belongingness towards our nation. 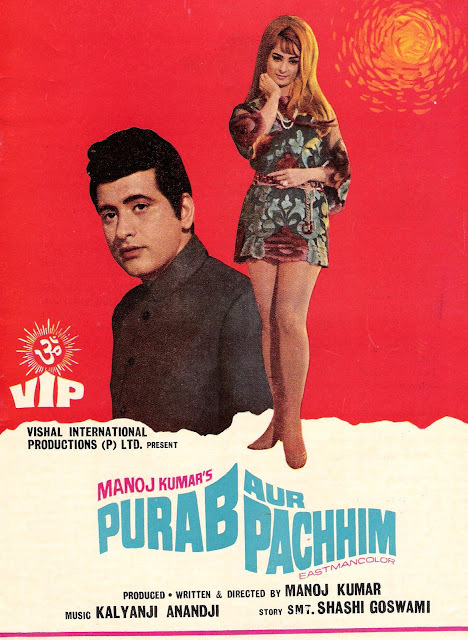 After the super success of 'Upkar' in 1967, he follows up with yet another endearing portrayal of Bharat as a true son of India in 'Purab Aur Pachhim'. Depicting the disparity between the Indian and the western cultures, the movie presents in a noble way the diverse culture of India manifested in its traditions and values while also highlighting how the erosion of core values and morality in the west in the name of modernity can send the society on a downward spiral! I am sure, anyone will get goosebumps on listening to the immortal song “Hai preet jahan ki reet sadaa, main geet wahan ke gata hoon, Bharat ka rehne wala hoon, Bharat ki baat sunata hoon...” rendered by Mahindra Kapoor. The entire cast that includes Manoj Kumar, Saira Banu, Ashok Kumar, Pran and Prem Chopra among others put up commendable performances. That apart, its gripping story, superb direction (helmed by Manoj Kumar himself), its melodious music by Kalyanji Anandji made this movie a super hit. In fact this path-breaking movie with its beautiful nationalistic theme continues to inspire Indian filmmakers even today! So this Republic Day, I am going to binge-watch these movies on ZEE5. How about you? Beautifully curated list. You brought back my childhood memories, Amit. Being a NCC cadet, I used to be a regular in our school parade. I also always looked forward to those laddoos that we used to be given. @Pankaj, thank you :) Yeah, Parmanu is a very good movie.